'One cannot think well, love well, sleep well, if one has not dined well.' - Virginia Woolf. The definition of 'healthy eating' has been chewed up, spat out and re-digested enough times to make Joe Public give up and seek out their nearest branch of McDonald's. Our mindless obsession with eating 'right' is such that we're now more concerned about what our Instagram followers think of a poorly lit picture of our dinner than we are of its effect on our own palate. Or, indeed, our happiness. We seem to be living in a time where we no longer eat with our hearts, emotions or heritage - but with what our waistlines (and followers) in mind. Not Plant Based are on a mission to help you love food again. The principle is very simple: eat what you like and don't worry about it. It's a menu that's especially delicious, 'guilt-free' and requires a hell of a lot less money spent in health food shops. 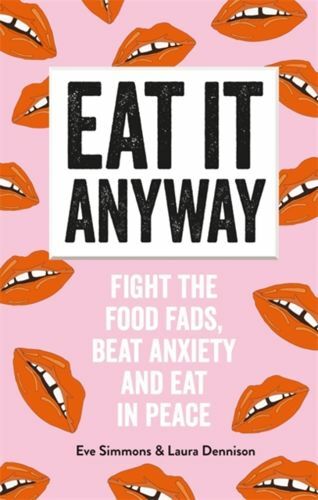 Throughout the book, Laura and Eve call on experts to debunk myths and provide a balanced exploration of our attitude towards food, with some delicious recipes thrown in along the way. They discuss their own experiences of eating disorders and offer personal tips and coping mechanisms to help rid you of anxiety linked to food. No one is saying healthy eating is bad; there is simply a lot of misleading information out there. More to the point, food is so much more in the grand scheme of life than health: it's family, friends, enjoyment and memories.